Pinterest recently unveiled their newest feature - secret boards. Here are a few pieces of information about secret boards and how you can make use of them in your business. 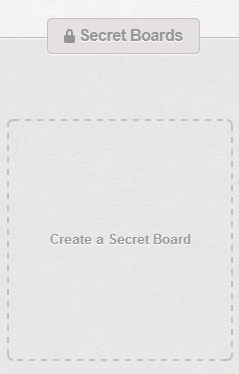 You can have up to three of these secret boards (in addition to your public boards). You can not make an existing board secret. You can make a secret board public, but you cannot change it back to secret status. Only the creator of the secret board can make it public. Other people see your secret board through invitations you send allowing them to contribute to the board. There does not appear to be a limit on the number of invitations you can send to make people contributors to a secret board. If you have a business where you deal with clients and need to show them pictures of things you are discussing (flowers, designs, packaging, labels, etc.) or even need a central place to archive links to articles and other online information (provided it's pin-able), these new secret boards may be a valuable tool to enhancing customer relationships and improving communication. A secret Pinterest board could also be handy as a tool for internal communication, idea sharing, and brainstorming. Since original photos can be pinned, you, your family members, employees, or anyone you want to get involved, could pin photos of things they see away from the business to spark discussions or for future planning. Since you can only have up to three secret boards at a time, managing your use of them will be important. 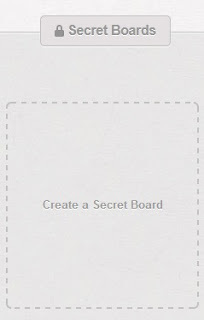 You can delete boards as you complete projects, allowing you to create a new secret board. Your other option is to simply add and remove contributors. For more information about Pinterest's secret boards, click here. We invite you to visit our Pinterest boards here. Do you think secret Pinterest boards will help you in your business?